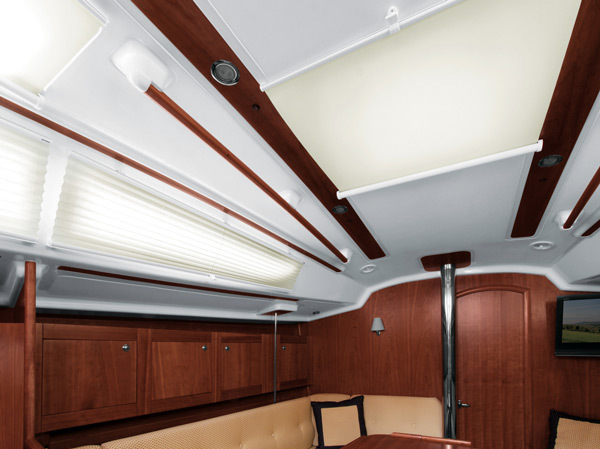 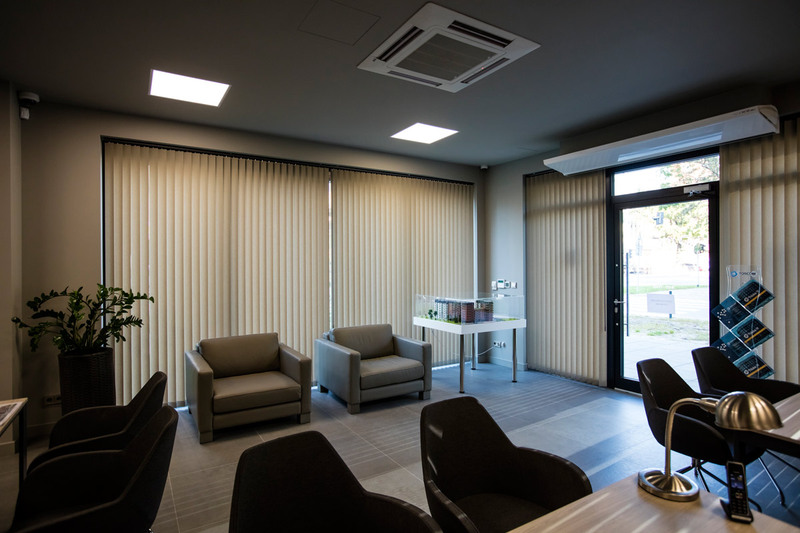 Can cover large glazed surfaces or serve as partition wall. 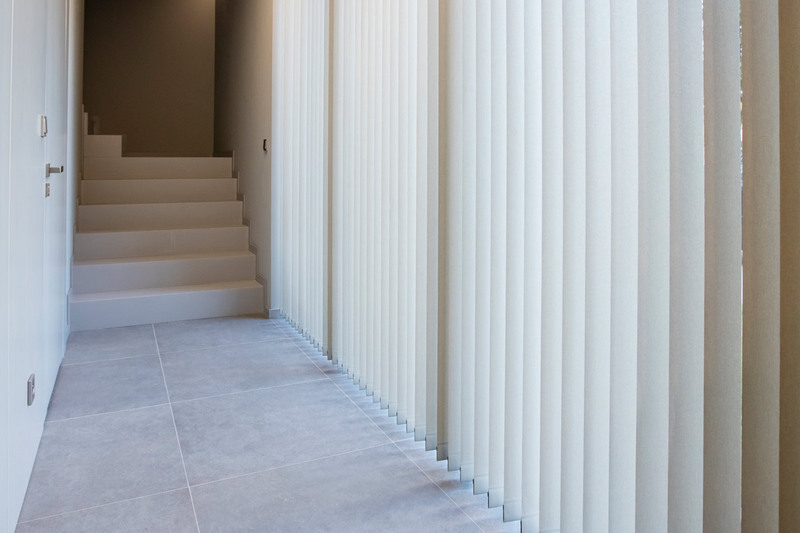 Mixing patterns and colours, swapping slats becomes possible. 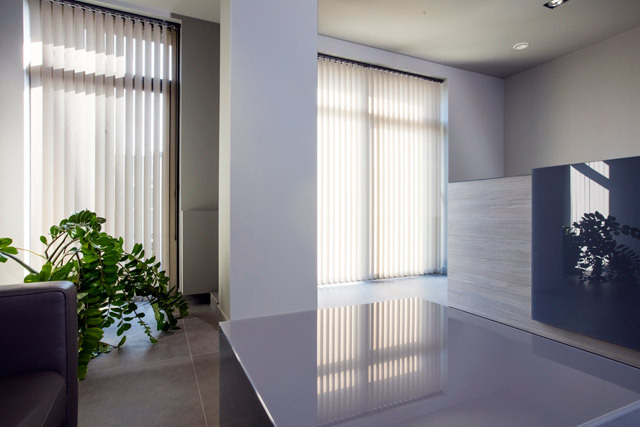 A wide selection of fabrics including those dedicated for rooms with increased hygiene requirements. 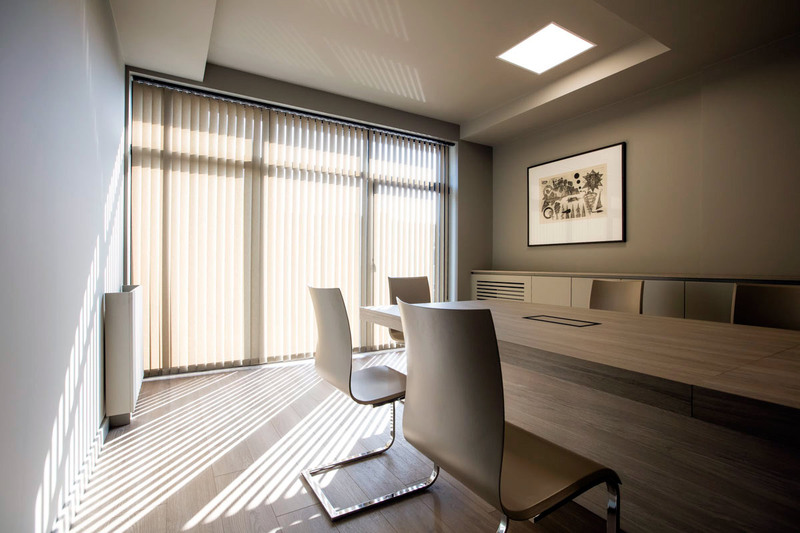 Panels are a great cover for large, glazed surfaces. 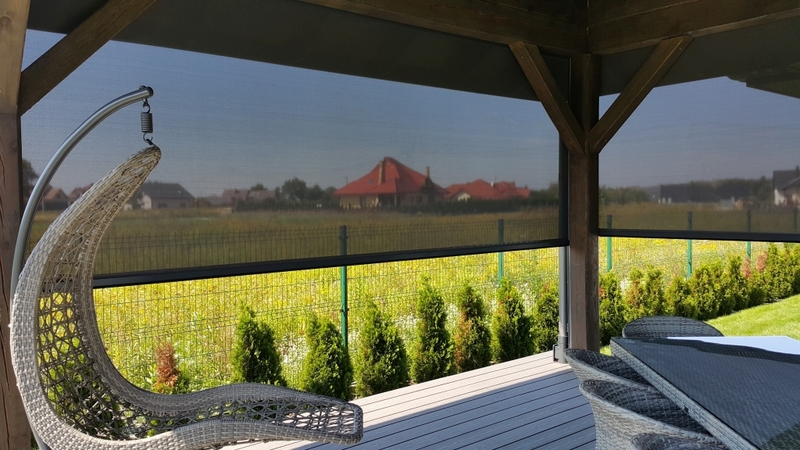 They enable us to experience the beauty of nature up close, while maintaining a sense of intimacy and ensuring protection from the sun. 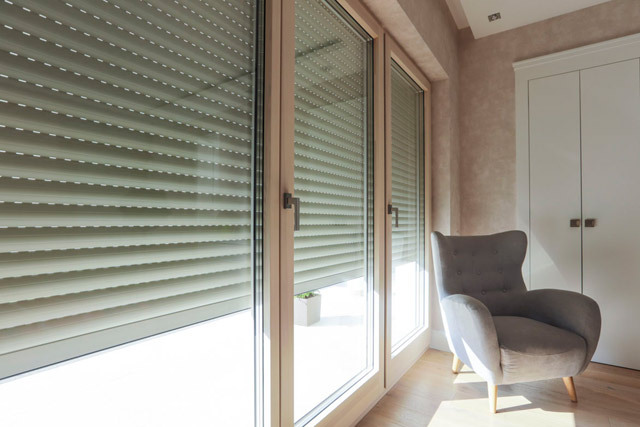 They can also be used as a room divider or a door. 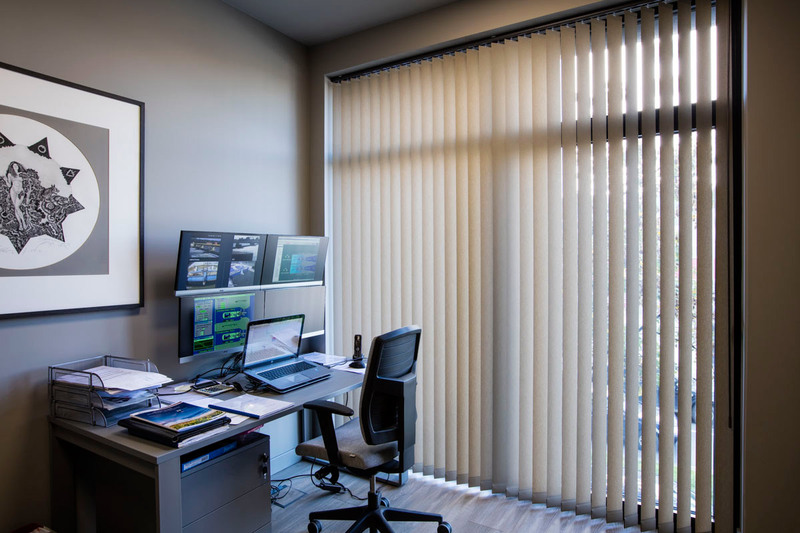 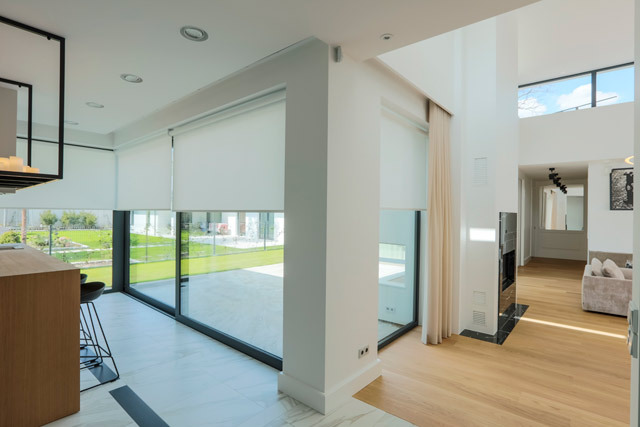 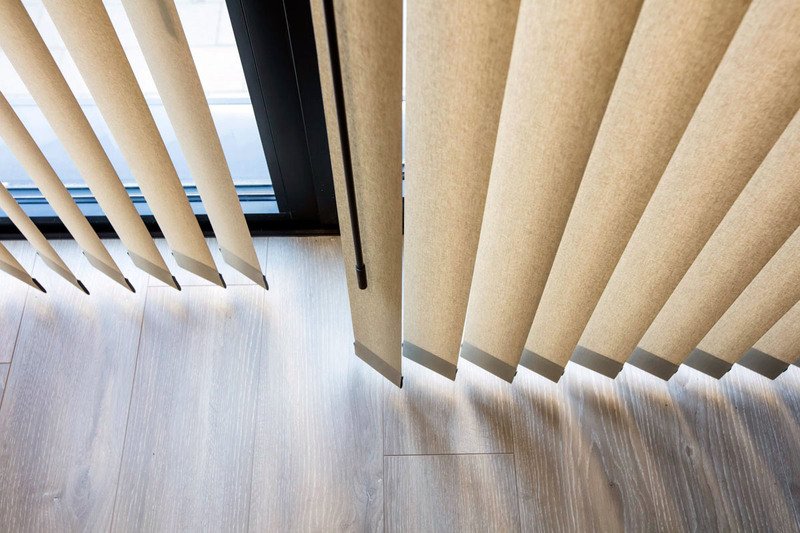 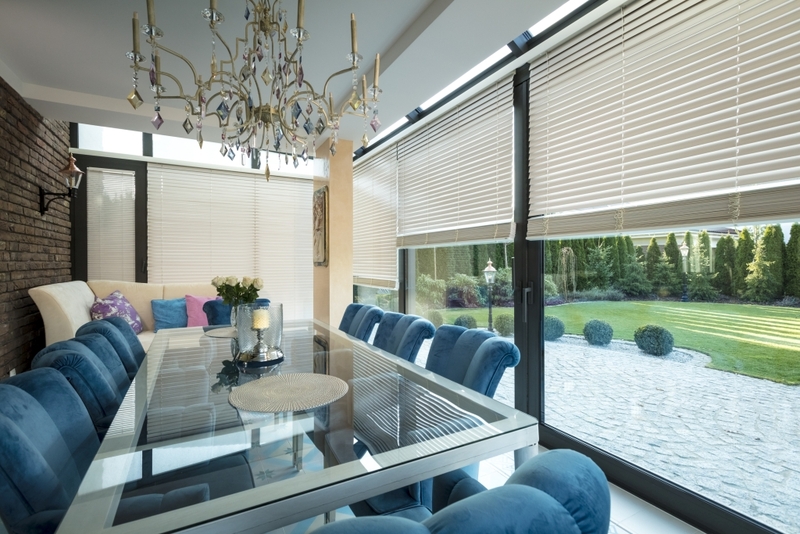 Vertical blinds are opened or closed (slat rotation around its own axis up to 180 degrees) by means of a cord or a knob (manual control) or electrically. 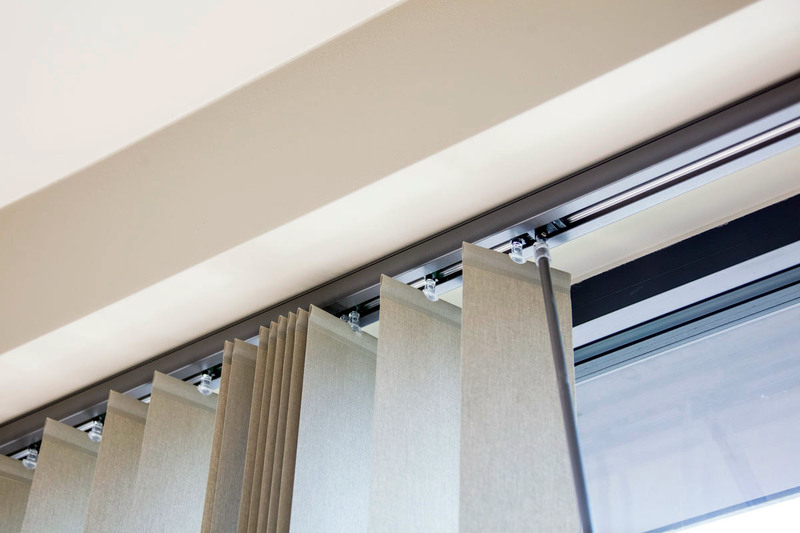 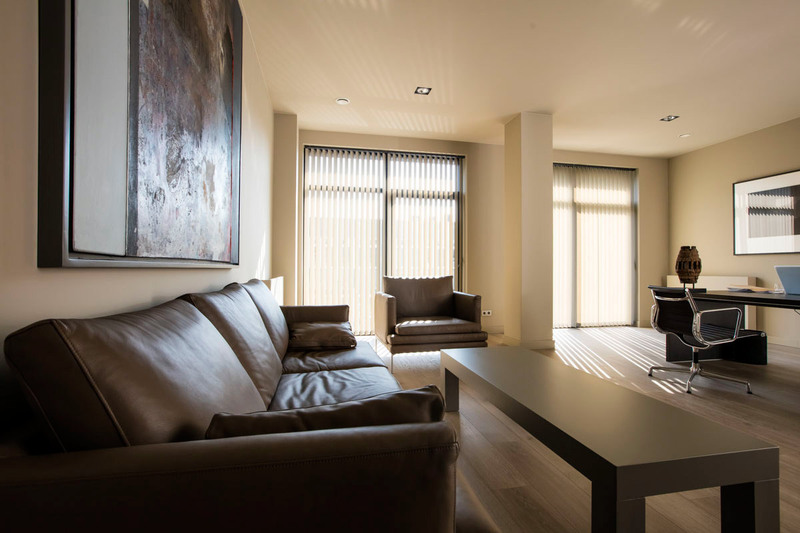 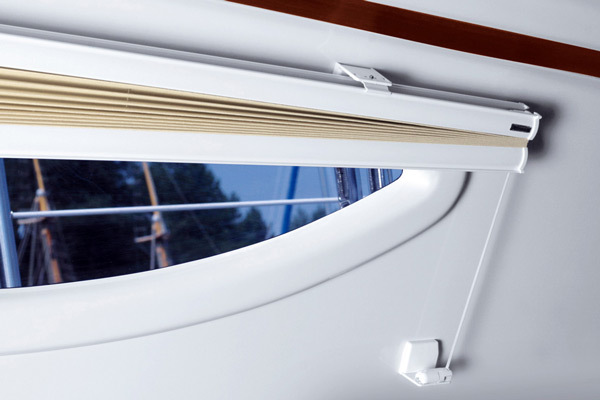 Vertical blind rails can be installed not only horizontally but also diagonally. 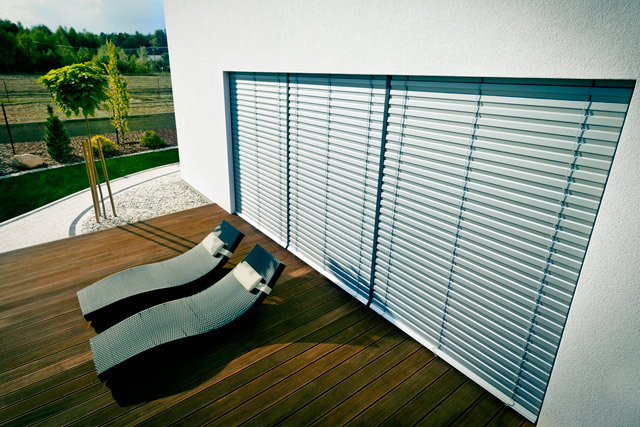 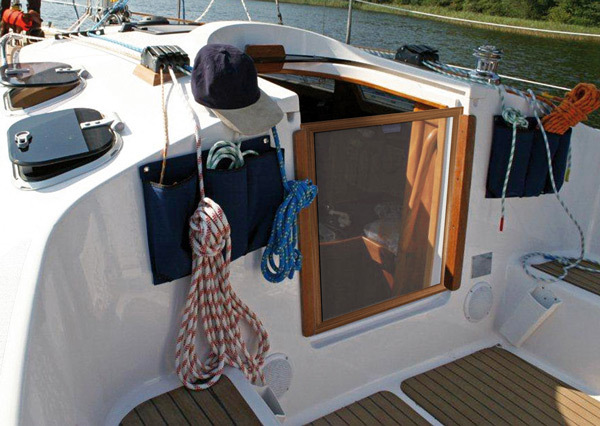 It is also possible to replace the slats without having to remove the rail.